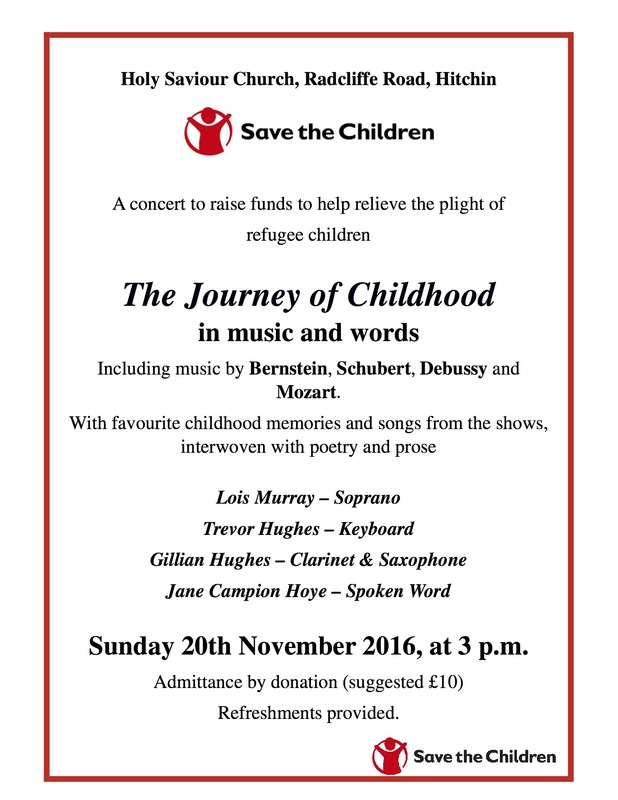 On Sunday 20 November at 3.00 pm, Holy Saviour Church will host a concert in aid of Save the Children, to raise funds to help relieve the plight of refugee children. The concert will include music by Bernstein, Schubert, Debussy & Mozart, with favourite childhood memories & songs from the shows, interwoven with poetry and prose. Performed by Lois Murray – Soprano, Trevor Hughes – Keyboard, Gillian Hughes – Clarinet & saxophone & Jane Campion Hoye – spoken word. Admission by donation (suggested £10). Refreshments provided.